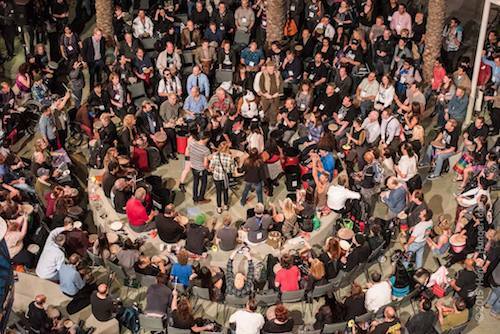 Drum Circle Facilitators gather at the big NAMM convention in Anaheim to check out the latest instruments and talk shop. The highlight is the early-evening drum circle on Friday afternoon, led by Arthur Hull. Every year, that circle rocks!